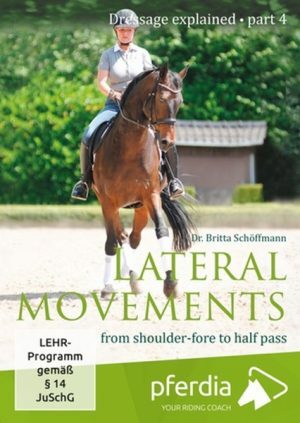 Shoulder-fore, shoulder-in, counter shoulder-in, travers, renvers, half pass – they all belong to the lateral movements and, after the basic work has been established, are the next step in the dressage journey. They promote and require collection, improve impulsion and straightness, lead to more freedom of the shoulder and to better self-carriage. Lateral movements ridden correctly and with a light hand encourage your horse to dance. Training dressage horses and riders is Britta Schoeffmann‘s passion. As a former grand prix dressage rider, holder of the German Golden Reitabzeichen, and a PhD in Sports Science, she loves teaching pupils and being able to share her knowledge. Her own riding education was shaped by Masters such as Fritz Tempelmann, Harry Boldt and Klaus Balkenhol. 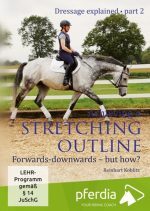 As well as coaching and training dressage riders and horses, she has also successfully authored many highly regarded dressage and riding books, available worldwide. It is especially important to her that dressage riding is seen as a good basis for every rider and every horse, regardless of their training level or the breed of their horse.